I purchased a crumpler 7mdh bag from kawboy613 (Tim P.) last week and got it today. I am very happy with the bag and how quickly he shipped! The bag is exactly as he described! I would recommend buying from him to anybody here on the forum! easy transaction, quick payment and good communication! Sold a LowePro bag to Rmitchell248. He was out of the country and helped me to get the package to him. He was good to deal with and I would recommend him anytime. 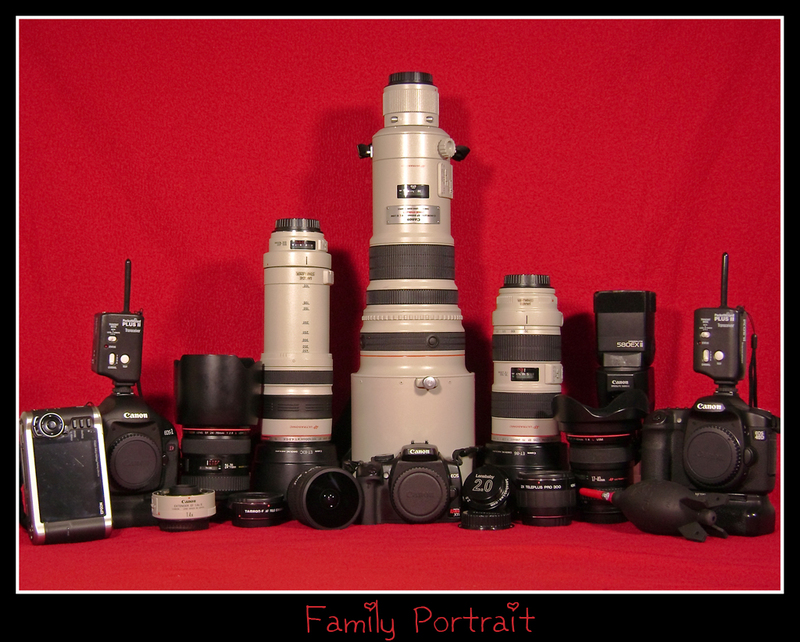 Canon 1D Mark 111, Canon 7D, Canon G-15, Canon 10-22, Canon 24-105 4L IS, Canon 70-200 4L IS, Canon 1.4, Canon 17-55 2.8, Canon 70-300, Canon 1.4 Teleconverter, Canon 430, Tamarac System 6. I sold Steve a 70-200 2.8L lens. Communication was excellent and payment was immediate. I look forward to doing business with him again! Lens shipped as soon as payment was made, couldn't ask for better service! Will most definitely buy again. This was an excellent transaction! I appreciated being able to talk to James on the phone and his communication throughout the transaction was great. Shipping was very fast and I would not hesitate to do any other business with him again. I am a veteran. At seventeen I wrote a blank check payable to the "United States of America" for an amount up to and including my life. cool guy to deal with. item was like new as described. good communication. would definitely deal with again. even helped explain some of the feature of the strobe because it was my first one. Thanks Sevan!! /Include subdirectories, empty directories, and verify. Awesome glad it worked for you. Thanks Soony. Great buyer also great communication on his end. A+++++++ Will sell to him in the future. - Don't Argue With A Stupid Person, They Will Bring You Down To Their Level And Beat You With Experience. Mike's responses to my PM's were timely. He had already committed to another buyer, who had since gone incommunicado. Still, rather than accept my offer on the spot, he pinged the other buyer again, and gave him a fair amount of time to respond. That struck me as very fair to all concerned. When my PapPal check cleared, Mike said he'd mail the lens "ASAP". He wasn't kidding; I had a tracking number in less than an hour! Lens arrived well-packed and in excellent condition, just as described. An honest, fair, and reliable seller! Huy shipped this lens within a day or so of my payment and even asked if I had a preferred shipping company. There was no box with the lens, but it was packed well and arrived in great condition. Shipping was super fast (~2 days from San Francisco to New Hampshire). Was great to do business with! Great bag just as described and really fast shipping. Hope to deal with agian. Mark was a pleasure to deal with, his payment was super fast. Communications were quick and clear. Great guy! Highly recommended!! Thanks again Mark.